China’s decision to suspend presidential term limits is still reverberating around the world. The announcement, made after a vote by China’s parliament in March, prompted some commentators to draw comparisons with “third termism” in Africa, when leaders flout democratic conventions to stay in power as long as possible. These concerns certainly resonate on a continent where leaders like Joseph Kabila of the Democratic Republic of Congo, or Yoweri Museveni of Uganda are clinging to power. But there is also a wider question that must be asked: what does an extended tenure for Chinese incumbent Xi Jinping mean for Africa beyond the constitutional issue of term limits? For the foreseeable future, Africa’s engagement with China will be shaped by Xi’s vision. This makes it important to unpack exactly what that vision is. That’s why the South African Institute of International Affairs – where I work and conduct research on China and Africa – has just published a policy paper identifying five key trends for Africa. We did this by drawing on Xi’s own writings and public comments. The trends will open certain opportunities for Africa in its relationship with China, and close down others. It is important for the continent to take note of these trends because Xi’s extended tenure will arguably deepen their impact over the next decade. Dealing with China means dealing with the Communist Party of China (CPC). Xi rose to power by strengthening his control of the party and its control of the country. Throughout his writings he has emphasised that the CPC is key to Chinese decision-making from the local to the international level. Part of the CPC’s strategy is to influence young Africans through education and training. To this end, thousands of African government officials, journalists and students receive training in China annually. In 2016, Beijing increased the number of scholarships for African junior politicians from 200 to 1000 per year. 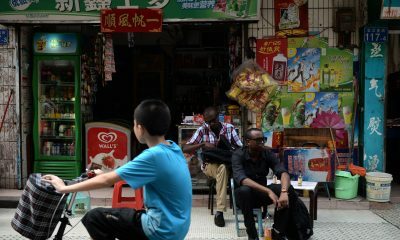 More African students now study in China than in the US and the UK combined. Xi routinely insists on the centrality of party doctrine in all university teaching. Since 2013 he has called for the exclusion of so-called western ideas from university curricula. Education and training shapes one’s worldview. As these African students return home, then, Communist Party doctrine will increasingly inform conversations on the continent. 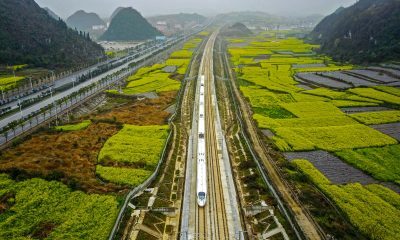 President Xi’s long-term rule also ensures the future of the Belt and Road Initiative. It is his signature foreign policy and investment initiative; a massive infrastructure project linking China overland to Europe via rail through Central Asia, and through sea routes to the Mediterranean and Europe via East Africa. 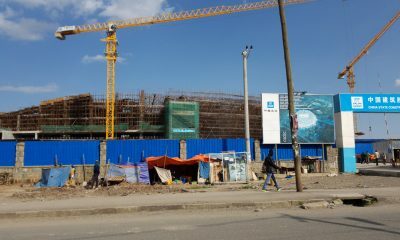 It is already funnelling large amounts of funding to infrastructure projects in countries like Tanzania and Ethiopia. Now that Xi has tightened his grip on power this initiative – which has been enshrined in the CPC constitution – is here to stay. This opens significant opportunities for African development. 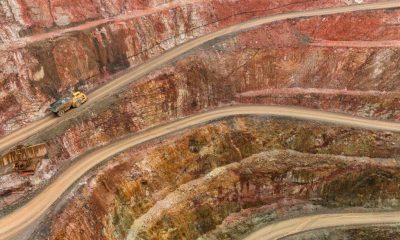 However, infrastructure doesn’t come for free: African countries should take a hard look at how the initiative will affect the continent’s debt sustainability and local priorities. China has been a long-term supporter of reforming the United Nations Security Council (UNSC) to allow wider representation from the global south. Beijing has not forgotten that it gained its own UNSC seat partly through African countries’ votes. In his address at the 19th Party Congress, Xi voiced support for “the efforts of other developing countries to increase their representation”. In theory, this could initiate a discussion about Security Council reform. There is little further indication that China is actively campaigning for it, but it is an area to watch. President Xi has repeatedly called for China’s military hardware, and the Chinese army’s combat-readiness to be boosted. His extended term raises the possibility that the People’s Liberation Army will pursue a more prominent global role. Military budgets for 2018 have been raised by 8.1%, a three-year high. While China is still far behind the United States in total military spending, it is catching up. This expansion directly affects Africa. China’s first overseas military base recently became operational in Djibouti, despite complaints from the United States, whose Camp Lemonnier is mere kilometres away. Djibouti also hosts French, Japanese, Spanish, Italian, and German bases, and a Saudi base is under construction. China has become more involved in UN peacekeeping in Africa. Its troops serve in South Sudan, Mali and Liberia, as well as in anti-piracy initiatives off Somalia. 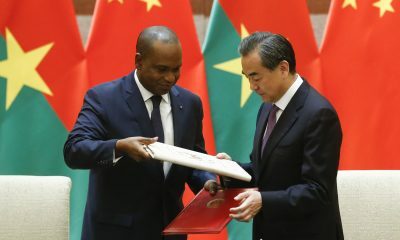 While these missions have contributed to African security, they also help to strengthen China’s profile as a global leader and to give Chinese troops valuable real-world combat training. This raises questions for Africa about an increasing Chinese military presence on the continent. Xi’s first term has seen a significant tightening of China’s own internet regulations. The US NGO Freedom House now lists China’s internet as the world’s most constrained. Xi has called for further controls and for enhanced “internet sovereignty”: this shuns global internet governance conventions in favour of control by national governments. 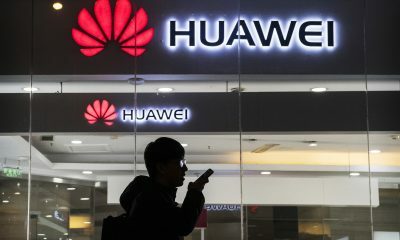 There is little evidence that China is interested in exporting its internet governance to other countries. But some fear that repressive African governments will seize on the theme of internet sovereignty to crack down on internal dissent. China is Africa’s top trade partner and a key foreign investor. Africa needs more local experts fluent in Mandarin, who can provide insights into the inner workings of this rising superpower. Barring unexpected upheavals, Xi Jinping is set to govern for a long time. Africa had better plan accordingly.